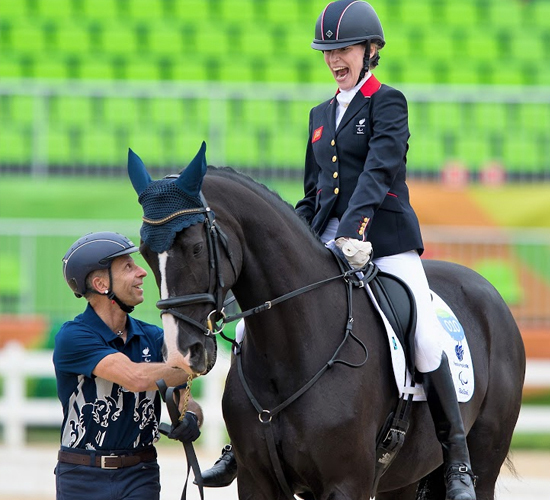 In 2005 Michel became UK Para-Dressage Squad Coach and has taken British Team riders to win Team Gold at all the following events: 2005 European Championships, the 2007 World Championships, the 2008 Beijing Paralympic Games, the 2009 European Championships, the 2010 World Equestrian Games in Lexington, Kentucky the 2011 FEI Europeans in Moorsele, Belgium, the 2012 London Paralympic Games, the 2013 FEI Europeans in Herning, Denmark, the 2014 FEI World Equestrian Games in Caen, France, the 2015 FEI European Championships in Deauville, France and the 2016 Rio Paralympic Games! 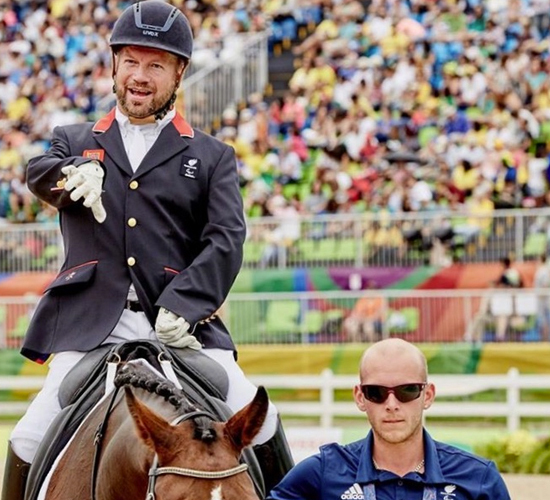 At the London 2012 Games the Team won Gold on 468 points ahead of Germany (440 points). The British Team largest margin ever, 5 Gold medals (incl. 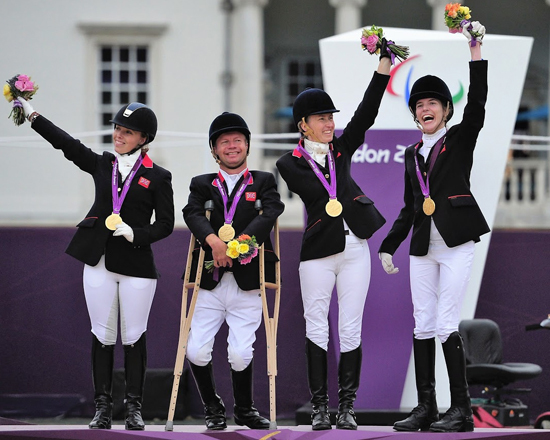 Team Gold), 5 Silver and 1 Bronze which is a Paralympic record. 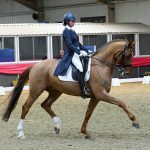 Sophie Christiansen had another world record too of 84.75% and all scores were above 71% including 4 tests above 80%! Individual rider Natasha Baker also set another record of 82.80% in the Grade II Freestyle a massive 5% lead over Britta Napel of Germany! Well, it was simply amazing! 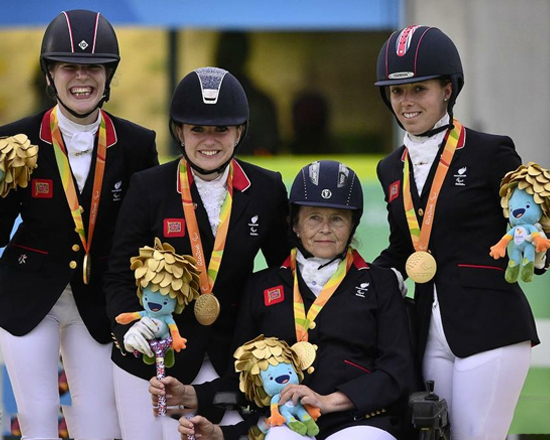 It was Team Gold for Para-Dressage Team GBR at the 2016 Rio Paralympic Games too with a total of eleven Gold and Silver medals! 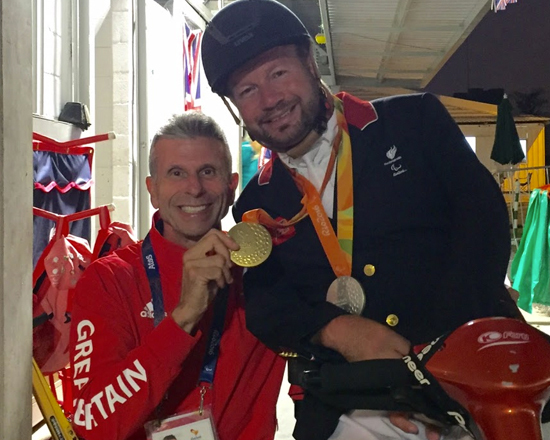 A record breaking success with athletes medalling in all the classes they took part in! 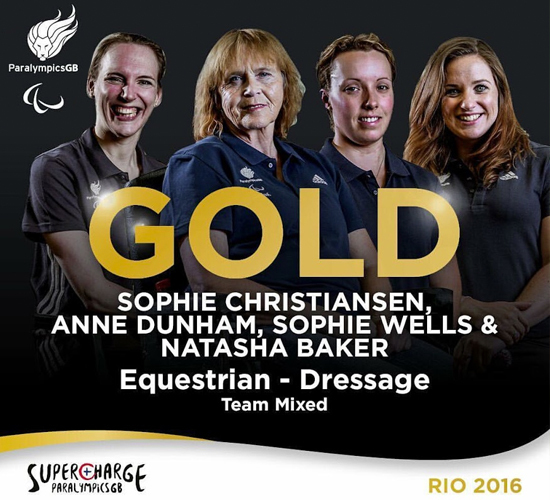 Anne Dunham, Sophie Christiansen, Lee Pearson, Natasha Baker and Sophie Wells all achieved Gold (7 Gold 4 Silver). Triple Gold medallist Sophie Christiansen on Di Redfern’s Athene Lindebjerg scored highest in the overall competition just short of 80% in the Freestyle. 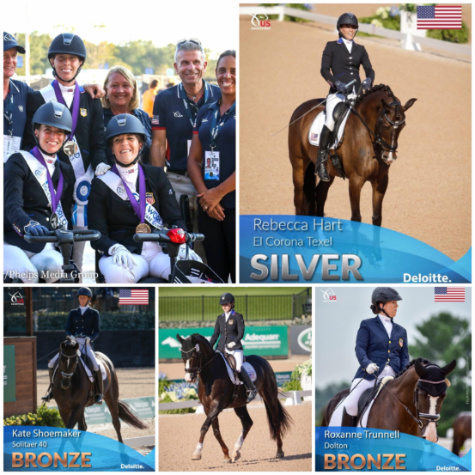 Natasha Baker and Cabral were also triple Gold medallists! 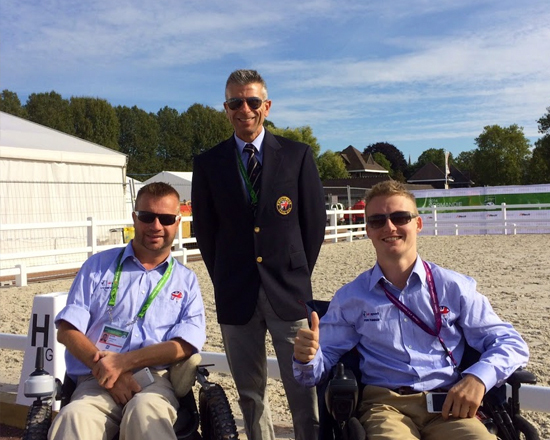 Under Michel’s last coach leadership for the British Federation, the Team won Gold at the 2017 FEI European Championships in Gothenburg, which included two triple gold medalists (Susanna Hext, GIII and Julie Payne, GI), a total of 9 gold, 1 silver and 1 bronze medals. Another European record! 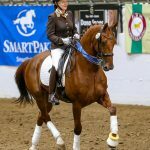 You can get involved in the sport of para-equestrian dressage by selling or loaning your horse to a successful athlete. 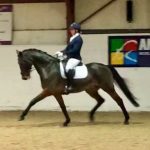 Do not hesitate to contact Mette Assouline to have your horse assessed and find a suitable rider.